Large or small you select your custom banner signage print size. Provider to many small-large sign shop business firms in US, from the newest four color machinery the people have designed a software system that you can immediately load your graphics into the machine (print queue) and view the batch proof. 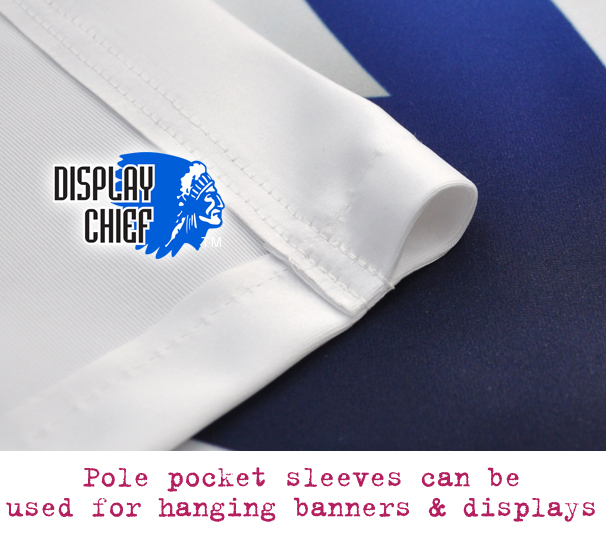 Select the mounting position of your grommet placing and if you want capped tops for a carry banner, left or right pockets for pole banner or horizontal top or bottom for a suspended banner. If you are using suspended banner sign systems for your US customers go here to the template section and using the selection fields make the banner sign suit your existing or new suspended banner sign system parameters. It's easy. 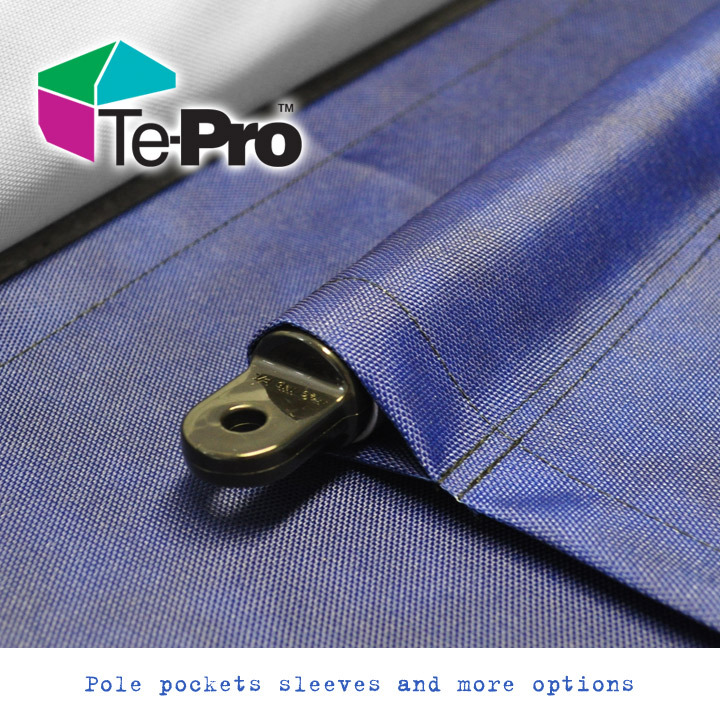 If you are using a modular system for hanging your banner signs, create the pole pockets to suit the thickness of the aluminium tubing. As used in many shopping mall display (center graphics) you could also span the width with a nice pole then string up towards the atrium or ceiling stainless steel wires. Some sign guys also do this at the bottom to prevent swaying. Those that are primarily for entrance lobby and against wall can be seamed creating a 'maxi print' dimension. Many sign guys often do this. The easy template maker is the best place to start. Some cable suspension units require a 1/2" x 11" put so the grommets used (here) are perfectly matched. There are also systems such as the illuminated cloth banner system which has excellent illumination properties and the display star system of using sleeved tops for sliding in rounded metal tube for suspension on larger sizes. When you want a rigid system, example metal cables vertically sprung. you can use those cable clip fixings to the horizontal rods. This means that the metal cables (wires) are up and down, the banner hangs on a thin strip rod attached to the metal cable wire clips. The rods are made from solid stainless steel and are available in a variety of lengths which can be joined together.